I hoped it wouldn’t happen. But it did. I stepped on the bathroom scale, and my weight was higher than “that number.” You know, that number all women have in their heads (even if we say we don’t), the one I can’t possibly weigh because it absolutely, positively, undeniably means I’ve hit an unhealthy benchmark. Yet the scale kept creeping upward until it hit “that number” a week ago. I suppose I subconsciously acknowledged the possibility when I donated all my large-sized clothes a couple of months ago, when I had to buy 2X jeans to be comfortable. I had hoped I could ignore it, that I could just say I’m happy that I’m still alive three years after my cancer went metastatic, that I could settle for being “that number.” But BMI doesn’t lie. My every-8-week PET scans consistently show fatty liver. I am not just overweight. I am OBESE, and putting myself at risk for lots of nasty health conditions. This doesn’t make a whole lot of sense, given I’ve worked so hard to beat the lung cancer odds. All my cancer doctors say it’s OK if I want to lose weight intentionally, in a reasonable manner. Over a decade ago, I lost 50# and kept most of it off until I got cancer. However, I’ve not had much success with moderate measures since my cancer diagnosis. I’m going to have to be strict with myself, and keep it going for months. I’m not looking forward to it, but that’s how it is. So into the weight loss trenches I go. Tossing out the tempting goodies and hiding the Halloween treats. Aiming to eliminate simple carbohydrates. Saying no to some foods I prepare for my family. Tracking my fat, carbs and protein with the LoseIt app on my phone. Tracking my steps and calories burned with my Fitbit band (good thing the two devices talk to each other). Keeping my calorie deficit above 500 calories per day. Exercising at a moderate pace over 30 minutes per day. 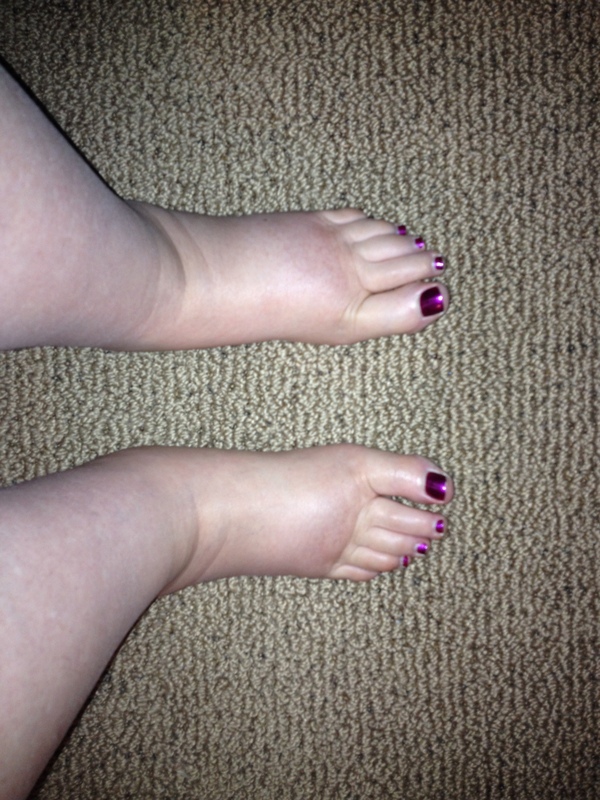 Apparently my edema doesn’t agree with my new diet. Sigh.